Click Finish, and go to the printer and fax to see if the driver is installed and print a test page. Select the corresponding model of printer driver, taking GP-9035T as an example. Select the communication port and select different ports according to different data connection lines. Parallel port connection Please select LPT, according to the expansion of the machine to choose the port. Serial cable connection Please select COM, according to the expansion of the machine to choose the port. USB cable connection Please select USB, please note that because the USB interface is the system virtual printing port, in the actual operation process, it is necessary to ensure that the printer USB cable is connected and the printer is turned on. If a computer is installed with multiple printers connected to a USB cable, there may be multiple USB ports, such as USB001, USB002,..., USB005, etc. If the printer cannot be printed after the driver is installed, the port adjustment is required. Enter the printer's 'IP address' as shown below. Then select 'Custom' - 'Settings', as shown below, confirm the following message and select 'OK'. Then select 'Next' as shown below. If you select the serial port (COM port), you need to select the port tab in the completed driver property page and then 'Configure Port'. Select serial port communication bits per second, data bits, parity, stop bits, and data flow control. The factory default parameters are shown in the figure below. You can view the serial port communication parameter information on the printer self-test page, such as "SERIAL 9600,N,8,1". Go back to the 'Ports' tab in the printer properties, tick another USB virtual port, click 'Apply' in the lower right corner, wait, the test page task will restart, if the port corresponds to, the task will disappear and the printer will The print action, if still an error, repeats the above check until the print job is completed. After these steps, the driver installation is complete. After the printer driver is installed, the icon will appear in the printer and fax. Detailed use of the driver. Open the printer's Properties window as shown below. The 'Print Speed' and 'Print Density' are adjusted according to the actual paper and consumables used, especially when using hot-transfer printing, the pairing of speed and density has an effect on the printing results. In the 'Size' field, enter the size of the actual paper or print range. If it is a label, it will only indicate the size of the printable area, not the backing. Depending on the type of paper you are actually using, select "Pitch" if there are sheets of paper with a spacing, "Black" if you have a black label on the back, and "Continuous" if you select a continuous paper. It is best to keep the default settings in the Media Settings column because the printer automatically detects which media to use when the printer is turned on, and subsequent printing will continue to print based on the current media. Manually specify a method if needed. In the option column, the setting of the paper stay position after the specified task is completed. "None" indicates that the printing is stopped after completion of the task without any operation. "Pick-off" will turn on the front-end paper presence sensor and will stop after each print, until the user intervenes to remove the printed label and then print the next print. This setting is applicable to printers with a peeling device, such as GP- 3150TN. Cut, whole batch and partial cut functions GP printers are not currently supported. Adjust the "Length" parameter in the "Pitch/Black Mark" column, and adjust this parameter according to the height of the gap between the label and the label on the label paper used by the user. After completing the above settings, click OK to exit the preference setting. Click the Print Test Page in the "General" tab of the driver properties to observe the print quality after the above settings, and determine whether the paper material and size match. If the label is just above or below the label, select the printer 'Properties' - 'Printing Preferences' - 'Advanced Settings' with the label in the 'Options' column Offset parameter settings, this parameter can be filled in positive or negative. Taking the machine's paper exit direction as a reference, the positive value is the reverse offset, and the negative value is the positive offset. After adjustment, multiple observation offsets can be printed consecutively. If the label content is skewed in addition to the top and bottom, you can select the printer 'Properties' - 'Printing Preferences' - '-' Advanced Settings '--' - ' 'Other', set the coordinate reference point offset. If the orientation of the label is only vertical, the origin of coordinates is in the upper left corner of the paper exit direction. If the orientation is rotated 180 degrees in the vertical direction, the origin is in the lower right corner of the paper exit direction. Similarly, if the orientation is selected only in landscape orientation, the origin is in the upper right direction of the exit direction. The angle of 180 degrees in the horizontal direction is in the lower left corner of the paper exit direction. This parameter only accepts positive values, so please carefully select the direction and offset when adjusting, and use as much as possible with the above label offset to achieve the desired effect. Select the printer 'Properties'--'Printing Preferences'--'Options', have non-printing area parameters, and fill in the corresponding parameters by referring to the area size. Printed graphics have different print quality when different types are selected. According to the actual effect of self-adjustment. 6, after the above steps can be selected in his choice gk888t printer. Flash once: At this time, release the feed button to print the current printer configuration parameters. Flash twice: At this time, release the feed button, the printer will enter the media sensing mode, the printer automatically measures the length of the barcode printing paper, and stops at the correct tear position, automatically save the print parameters. Flash 3 times: The printer automatically adjusts the baud rate of the printer. Flash 4 times: The printer will restore all settings to the factory parameters and automatically measure the paper and automatically save the parameters. Flash 5 times: The printer enters the print width print adjustment mode. Flash 6 times: The printer enters the adjust print depth mode. 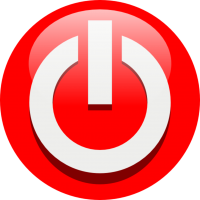 Flash 7 times: The printer exits the setting mode and returns to the ready state. If you buy a bar code printer that does not come with such a data cable, please go to Computer City and other places to purchase it yourself. The price varies from 10 yuan to the next, and the quality is also different. Please consider it as appropriate. The zebra 888-TT uses 10*10CM thermal paper and matching ribbons, which are purchased and replaced after use. , Follow the prompts to install directly until it is completed. After the installation is complete, turn on the printer and plug the USB port of the data cable into the USB port on the computer. To the hardware device, the port number is displayed. At this point, the printer and USB-to-COM port driver complete the installation, in theory, can now be bar code printing. The machine will print a self-test page and initialize it. Will be the initial words. And correct the sensor. Corresponding to a new printer is recommended to perform initialization operations first. After loading the usb to com driver, barcode printing can be implemented. If no configuration is made at this time, the system adopts the default printing method to automatically obtain the port. Here's how to configure it. Mobile hard disks, mobile phones, etc. are not serial devices and can be connected to a computer with a bar code printer at the same time. Manually obtain the port: The COM number of the configuration port must be the same as the USB port number of the serial cable plugged into the computer. Prolific USB-to-Serial Comm Port (COM4) is the port number we connect to the computer. Both sides are COM4. You can find a port according to your needs during manual configuration, but you must ensure that the port settings in the configuration are the same as those in the device manager. Users can choose the above two ways to obtain the port according to the actual situation. After the selection, click OK. The system will save the user's choice. When the next time you print again, the barcode will be printed in this saved configuration mode. Configure it. Note: If the user enters the system for the first time and no configuration is performed, the system prints barcodes automatically by default. 1. The scanner does not recognize the bar code: There may be some unavoidable situations in the printer, such as cold weather, when printing. The temperature of the print head is not enough, or the quality of carbon paper is a problem. When printing, a missing piece of the barcode is generated. If you encounter this problem, please re-play the barcode label until the barcode is clearly visible. 2. If multiple labels are printed consecutively or the printed labels are blank: Please check whether the "Corrupted matters description" (corresponding to the damage reason printed on the claim label) of the corresponding claim form is filled in too long. It is normally 78 characters. 70 characters or less! 3, other situations: please contact the system administrator, customer service support and other related personnel consultation! The next step until completion. Copy all the files in the above image to C:\\Program Files\\Seagull\\BarTender\\7.72. Then double-click the activated file to replace the activation file. Note: If you change the usb port, remember to select it from the new one. There will be an interface like usb002 usb003. Steps: Turn off the bar code printer and press and hold the Pause button. Turn on the machine. When the sound drops, release the Pause button. When the format of bar code and price tag is completely fixed, remember to back up jq.btw and tm.btw in the root directory of d-disk so as to avoid accidentally messing up the format. Or use bartender software to directly open tm.btw or jq.btw to lock each element module Right-click on the element and select Properties. In the event you loved this article and you want to receive details about backup usb dongle key i implore you to visit our webpage.